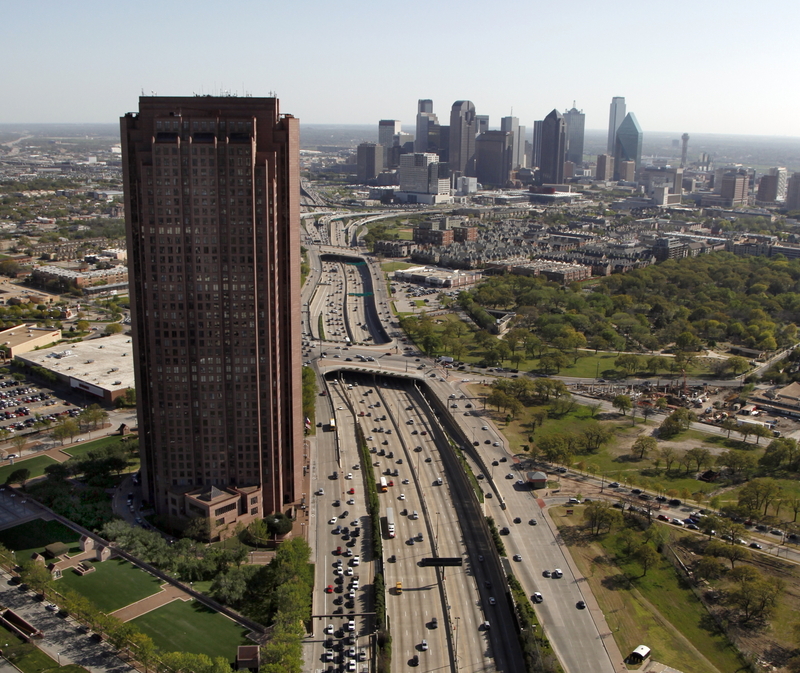 A new tower could finally join the existing Cityplace tower in Dallas, Texas. The current 42-story building was originally planned in the 1980s as part of a massive 140-acre development that included plans for twin towers on either side of North Central Expressway, but an economic downturn foiled those plans and only one tower was ever built. But Dallas News reported this week that the site’s current owner, Cityplace Co., is planning a large new hotel and office tower for the site north of Lemmon Avenue and south of Blackburn Street. The developer is pursuing a tower larger than the site’s current zoning allows and will presumably not match the original tower with a twin, as the now 30-year-old plans intended. The existing Cityplace tower is the tallest building in Dallas outside of downtown and has housed office space since it was designed by Cossutta & Associates and opened in 1988. At the time it was Dallas’s most expensive tower to build. The surrounding development was originally planned to house over 60 other office towers, but plans for the complex fell through after the savings and loan crisis of the late 1980s hit the region and tempered the area’s oil-fueled growth over the previous decade. Today, Dallas, along with the rest of Texas, is enjoying a building boom as jobs continue to grow in the region. In 2017, Texas led the nation in corporate office construction projects, and the Dallas-Fort Worth area was among the most active metropolitan regions. Cityplace Co. is slowly developing properties across the original development’s neighborhood, and other developers have gotten in on the game as well. Forest City Realty Trust is partnering with Cityplace Co. to build a 23-story luxury residential tower in the area, and earlier this year Highland Capital Management bought the Cityplace tower and announced plans to upgrade the building and add restaurant and amenity spaces.